A real estate license is your admission ticket to the industry. Without it, you can’t do business as an agent or broker. With it, the sky is the limit in terms of how far you can go. However, thousands of real estate agents and brokers each year lose their licenses for violating state laws and regulations. Apparently, they valued the short-term rewards of closing a deal at any cost over the long-term benefits of staying employed. It’s anyone’s guess why they made this decision. But they did . . . and paid a big price for it. How big? For one thing, they lost their current income, which hurts financially, since bills continue whether they’re working or not. For another, they said good-bye to all future commissions, which means they may never see a return on the investment they made to become a real estate professional. But again, the lure of short-term financial gains blinded them to the long-term economic costs of violating state real estate law. Taking a financial hit is just the beginning, though. There’s also the reputational damage that results from having their wrongdoing plastered all over the trade and general media, while also being searchable on the Internet for decades to come. Even if they’re able to clean up their records and re-enter the industry, their black marks will come back to haunt them each time a prospect check them out on Google. Finally, violating real estate law may spark errors-and-omissions lawsuits. If their conduct is so egregious it results in them losing their licenses, the victims will likely be motivated to take them to court to recoup their losses. This, in turn, may trigger large court judgments that they’ll have to pay out of pocket if they lack errors-and-omission insurance. Plus, E&O lawsuits may generate even more bad publicity, which will further soil their online reputations. Acting as both a buyer’s and a seller’s agent without providing full disclosures to participants on both sides of the transaction. Failing to properly account for or return buyers’ funds in escrow accounts. Judging from the breadth of potential wrongdoing these items represent, there are countless ways to get your license pulled. How to avoid it? By becoming a student of your state’s real estate regulations. 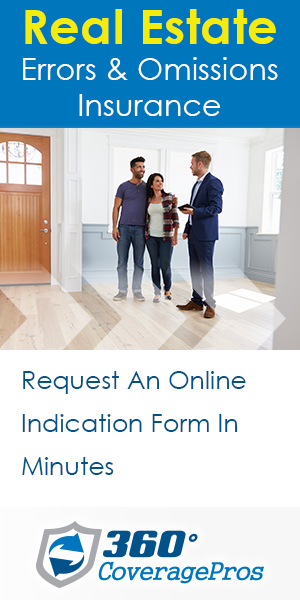 Review all updates from your real estate board or commission. Tap the brains of experienced agents in your office. And seek the guidance of your broker if you’re not sure how to handle something. Finally, if you’re a Realtor®, learn the National Association of Realtors ® (NAR) Ethics Code inside out. Completing the mandated NAR ethics course once a year will help you stay sharp ethically. Also helpful is drilling down on the major ways real estate agents lose their licenses. Here are four to avoid at all costs. Playing Fast and Loose with Money: Real estate agents and brokers have access to other people’s money. For those who are sloppy or have larcenous intent, this can spark serious violations that lead to license suspension or revocation. For example, mishandling trust or escrow accounts has led to the downfall of thousands of real estate professionals over the years. Why? They either can’t resist the temptation of converting client funds to their own use or are incapable of accurately accounting for deposit money and end up with shortages in their escrow accounts. A Rhode Island real estate agent’s experience illustrates the danger. According to media reports, an agent had his license suspended for improperly handling a buyer’s $6,000 deposit. After his clients made a $200,000 offer for a short-sale property in West Warwick, the agent instructed them to make their check out to him personally. Several weeks later, he advised them to make a second, lower offer for the property, along with a $200 deposit. He then deposited both checks into his personal account, not his broker’s escrow account. When the clients confronted the agent over how their checks were handled, he swore at them, warning them not to tell his broker. They did anyway, which resulted in the agent getting fired. After the Rhode Island Department of Business Regulation got involved, investigators discovered three additional instances of improper deposit processing dating back to 2011. After further review, they decided to pull his license. A second problem arises when brokers don’t effectively supervise their agents who are receiving escrow deposits. They often just delegate this function to an office manager instead of exercising strict personal oversight. Finally, escrow-account shortages can result from agents deliberately converting trust funds into money for their own use. Hopefully, if you’re committed to acting with integrity in this business, you know that stealing escrow money is not only wrong, it’s illegal. Misappropriating client funds may well be the quickest way to get thrown out of the industry. Misrepresenting or failing to disclose material facts: Lying, fibbing, omitting key information, exaggerating . . . whatever term you use, misrepresenting the truth is a serious violation that can land you on the outside of the industry, looking in. This commonly occurs with property-condition and environmental disclosures. A seller’s agent might conveniently “forget” to mention a problem with a septic tank or a dispute with local health or zoning authorities. When the buyer learns that the seller withheld a key fact, regulator complaints often ensue. If you value your license, commit yourself to always telling the truth. Just ask the Massachusetts real estate agent who got hit with a 45-day license suspension and a $300 fine. The reason? He misrepresented the value of a home to a seller and then failed to disclose to the seller that the buyer was actually his son. According to the Massachusetts Division of Professional Licensure, the agent violated state law in connection with a 2010 purchase and sale agreement between his son and a former Mansfield homeowner. The regulatory agency claimed that the agent told the seller her property was worth no more than $250,000, despite a recent appraisal showing it was worth $365,000. The agent apparently was trying to lowball the sales price in order to benefit his son. When challenged, the agent claimed he was not representing the seller, but, rather, his son. He also claimed he never told his son the home was only worth $250,000. In response, the seller pointed to the purchase and sale agreement that called for the payment of a $10,000 commission to the agent when the home sold, which would not have been the case had he been serving only as a buyer’s agent. Confronted by the state regulator, the agent agreed to sign a consent decree, which triggered a license suspension and fine. The agent later explained that he signed the decree because he realized he violated a regulation he wasn’t aware of. As the only licensed professional in the transaction, he was required to disclose his relationship with the buyer. But he didn’t because he claimed to not be aware of the requirement. This case is important because it shows that ignorance of the law is no excuse for violating it. Fortunately, many states require agents to complete agency disclosure forms to both buyers and sellers. Such forms are an excellent road map to follow to assure you disclose all relevant information. Also helpful, according to the California Department of Real Estate, is not making statements you know to be false to any party in a transaction. Engaging in mortgage fraud: Real estate agents who trick lenders into approving excessively large mortgages are engaging in mortgage fraud. This can be a slippery slope, since agents may routinely “fudge” the facts in order for a client to qualify for a larger mortgage to close a deal. Sometimes, they may not even realize what they’re doing is illegal. Still, as discussed earlier, ignorance of the law will not prevent a license suspension of revocation in cases of mortgage fraud. Still, there’s a big difference between minor violations and large-scale mortgage scams. A Massachusetts real estate broker fell into the latter category. The broker, along with three co-conspirators, engaged in sham “short” sales of homes in the Merrimack Valley over a three-year period starting in 2007. Apparently, the broker and his accomplices—two real estate closing attorneys and a bank loan officer—submitted false documents in order to get the owners’ banks to allow “short sales” on their properties. At the same time, he lied to seller banks persuading them to provide financing. However, rather than being arms-length transactions in which the seller relinquished control of their properties in return for their banks releasing them from their debt, the principals in the transactions were often related and the owners stayed in their homes, with substantially less debt. Jimenez was sentenced to three years in prison and four years of supervised release, and received a fine of $12,500. This case was clearly a large-scale fraud. However, many times agents are victimized by mortgage and bankers perpetrating scams. This may cut you some slack in terms of potential prosecution. However, it may still land you in scalding water with federal housing authorities. For example, according to Jon Goodman, a Colorado real estate attorney quoted in a Realtor® magazine article, the U.S. Department of Housing and Urban Development (HUD) may stop doing business with agents and brokers who’ve been implicated in mortgage fraud. In some cases, HUD has stopped agents from participating in FHA transactions for a year, even though they didn’t know they were doing anything wrong. Clearly, this can have a major impact on your commission income if you lose FHA financing for a lengthy period. Key learning point: know the law and conduct your business appropriately. An agent who was hired to sell a large state-owned building in Wisconsin was convicted of bribery, fraud, and lying to investigations in connection with the transaction. After his conviction and sentencing to two years in prison, he lost his real estate license and was ordered to never again work as a broker in Wisconsin. Another Wisconsin real estate salesperson was convicted for stealing and auctioning off property from a client’s home. The state Real Estate Board pulled his license because of dishonest dealings. A third Wisconsin agent removed $305,965 worth of property from an area home, auctioning off some of it without permission. The property had belonged to a bankrupt real estate developer who was evicted as part of foreclosure and bankruptcy proceedings. After a Real Estate Board investigation, the agent voluntarily surrendered his broker license, along with his right to renew it. He will never again work in the industry. A Texas real estate agent pleaded nolo contendere after being charged with driving while under the influence, a third-degree felony in Texas. He received a four-year prison sentence, which was suspended and replaced with four years of community supervision. The agent never reported the matter to the Texas Real Estate Commission (TREC). When he did so upon renewing his license a year later, the Commission suspended his license for four years, then probated the decision subject to him meeting certain TREC conditions. He was also ordered to pay an administrative penalty of $1,000. When it comes to criminal convictions, the lesson for real estate agents and brokers is clear. Commit yourself to acting legally at all times. This will prevent criminal charges and convictions in the first place. However, in the unfortunate event you make a mistake and get caught, don’t try to hide your legal problem from your real estate regulator. Disclosing it as soon as possible will increase your odds of preserving your license. However, trying to conceal your legal issue will just complicate matters. If you’re ever in this situation, think Transparency . . . with a capital T!